Spanning more than five decades of her work, Mary Oliver's Devotions showcases the interconnectness of all living things and her ongoing interest in the natural world. 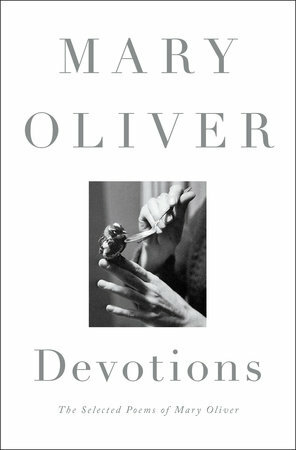 In Devotions: The Selected Poems of Mary Oliver, one of our most beloved writers offers both the best of her work and a spiritual road map of sorts ...more than 50 years and featuring more than 200 poems, the collection shows Oliver, in the early years, turning away from grief and finding in nature a 'vast, incredible gift.' Over time, as she carefully observes and records, Oliver extols the beauty and complexity around her and reminds us of the interconnectedness of living ...the luminous writing provides respite from our crazy world and demonstrates how mindfulness can define and transform a life, moment by moment, poem by poem. Oliver’s new book, Devotions, is unlikely to change the minds of detractors ... But for her fans — among whom I, unashamedly, count myself — it offers a welcome opportunity to consider her body of work as a whole ...an ecstatic poet in the vein of her idols, who include Shelley, Keats, and Whitman. She tends to use nature as a springboard to the sacred, which is the beating heart of her work ...more often there is a moral to her poems. 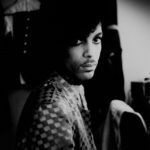 It tends to be an answer, or an attempt at an answer, to the question that seems to drive just about all Oliver’s work: How are we to live? ... Although these poems are lovely, offering a singular and often startling way of looking at God, the predominance of the spiritual and the natural in the collection ultimately flattens Oliver’s range. At more than 400 pages, it registers palpably on the lap, a pleasant anchor through an autumn afternoon ...a case of form following function, since Oliver is primarily a writer about the natural world ...Oliver’s poems have mostly been inspired by her long walks within the woods and shoreline of Provincetown, Mass. ... Like Wordsworth, Oliver deftly communicates physical movement in her poems, even though many of them ostensibly celebrate the serenity of standing still ...poems are often an exercise in ecstasy, charting those moments when the temporal is touched by the transcendental. We are not surprised to learn that she is a fan of Walt Whitman... a closer reading of Oliver’s poems reveals them as more than pastoral portraits rendered in cheerful pastels ... One finishes Devotions with the sense that Oliver’s poetry isn’t a denial of our troubled times, but an answer to them. What did you think of Devotions: The Selected Poems of Mary Oliver?